The fruit from eggplants (aubergines ) are beautiful...and this one's so beautiful, I had to share it with you. Notice the profile?.....almost as handsome as mine. We ate it anyway. Stuffed. We used seedlings from the local nursery, although eggplants start easily from seeds. The seeds need to be started 8-10 weeks before planting and we were in a hurry to get them out. Luckily, eggplants thrive in containers. Using one of our larger self-watering containers, we put one plant to a pot and set them about the garden, choosing the sunniest sites. The eggplant plant itself is beautiful and can be used, like Okra, as an ornamental. Eggplants require fertile, well-drained soils rich in organic matter with a ph of 5.8-6.8. Our self-watering containers provide constant moisture and it's potting soil mix (with extra calcium added) provides the perfect eggplant growing medium. We hardened off the seedlings before transplanting them into the garden pots when the nighttime temps reached 60 degrees. After digging a hole in the soil, we added eight ounces of Pure Black Castings ® and sprayed with VermaPlex ® before planting the eggplant. 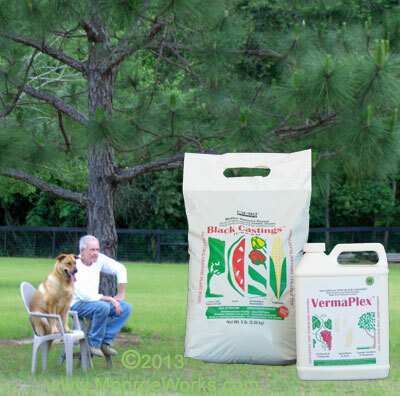 We added 2 ounces of Vermaplex® to the water reservoir after planting and then followed every 7-14 days with adding one ounce of this liquid soil inoculant. 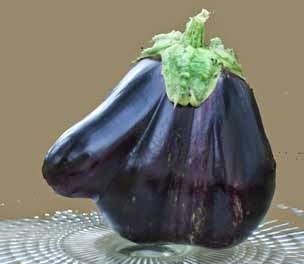 Eggplants are in the nightshade family (Solanaceae family), along with tomatoes, peppers and potatoes. Plants like these contain alkaloids, which are poisonous. So, don't eat anything but the fruit and watch out that your pets don't consume the plant (I hear ya). Flea Beetles: This is the biggest problem for eggplant growers. These pests chew leaves and spread disease. Floating row covers are helpful. Verticillium Wilt: Protect yourself by buying resistant varieties and changing your planting area from year to year. Pick eggplants when they are shiny and firm, but not hard. 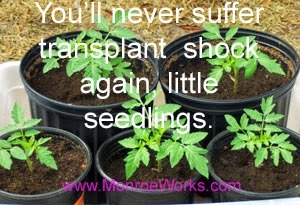 If you pick before they are fully grown, you will encourage more fruit to set. Remember to cut the fruits off the plant rather than pulling them. You can store harvested eggplants in a cool spot fro 1-2 weeks. Eggplant comes in a variety of colors, sizes and shapes. Oblong eggplant varieties mature slower than the long, oriental ones. Shapes range from long and thin to small and round. Colors aren't limited to the well-known "aubergine" or black purple. Eggplants also come in lavender, green, pink and creamy white. Beautiful as well as delicious. Eggplants are an excellent addition to your ornamental garden as well as adding a healthy and versatile vegetable to your menu. It's time to stop admiring and start cooking. Then eating .... my favorite pass time. Remove the stems and hulls from the eggplants and discard. Peel each eggplant lengthwise in 1/2-inch strips, leaving 1/2-inch strips of skin between, making a striped design. In a heavy skillet heat the oil over moderate heat. Add the eggplants and saute until soft on all sides, adding more oil if necessary. Arrange in a single layer in a shallow flameproof or ovenproof pan. Add the butter to the skillet and heat. Add the onion and saute until soft but not browned, stirring frequently. Add the lamb and cook until lightly browned, breaking it up with the back of a spoon or fork. Stir in the tomato and green pepper and cook 5 minutes. Add the parsley, salt and pepper, and garlic, mix well, and remove from the heat. Transfer each eggplant to a plate, leaving the oil in the pan. Slit lengthwise to within 1 inch of both ends on one side only. Stuff the pocket with several spoonfuls of the meat mixture. Return the eggplants to the pan, arranging them next to one another, slashed sides up. Place the tomato over the eggplants, sprinkle with additional salt and pepper, and pour in the water. Cover and simmer gently 40 minutes or bake in a preheated 350 F. oven 40 minutes. Add the lemon juice and cook 10 minutes or until the eggplants are tender. Serve with a pilaf or crusty bread and a green salad. (Hopefully, there's some leftovers for yours truly). Self-watering container : Here's a description of how to build them and how they work. Potting soil mix : Our formula. 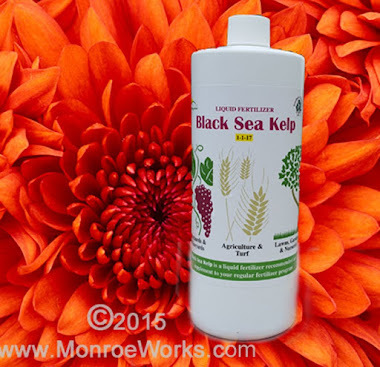 Pure Black Castings ® : Organic worm castings soil amendment. 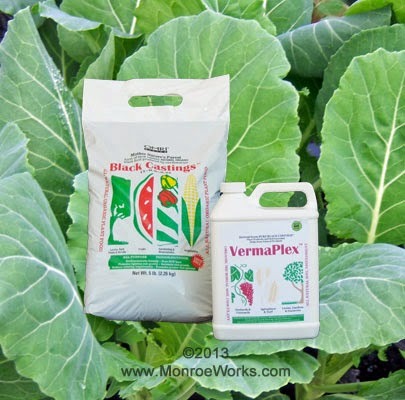 VermaPlex ® : Adds microbes that release nitrogen for the plants, as well as other benefits. 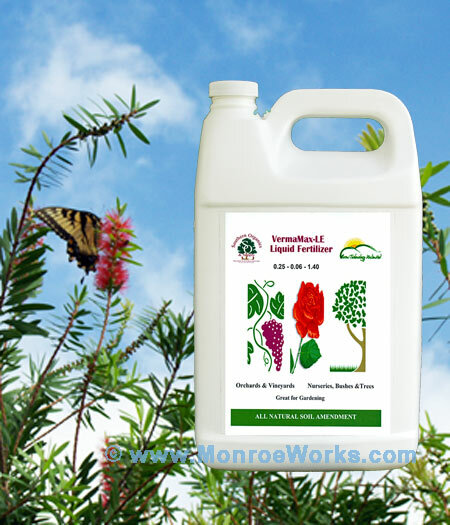 Use/Application guides : Detailed instructions for applications to different plants, trees, lawns, flowers and shrubs.